Tonight we'll be making Welcome signs to add some color to your front porch! You will have the option to keep the 54" tall sign its pre-stained color, or we will teach you how to use a paint and sandpaper technique to give it more of a vintage feel. Then you will paint your 'Welcome' letters in colors that make your heart sing! The class fee includes all of the supplies needed to create one Welcome sign. Class fee is $48/person. Limited seating available. Registration required. No refunds are given for cancellations with less than 72 hours notice prior to workshop start. We will have 'HUSKERS' letters also available! 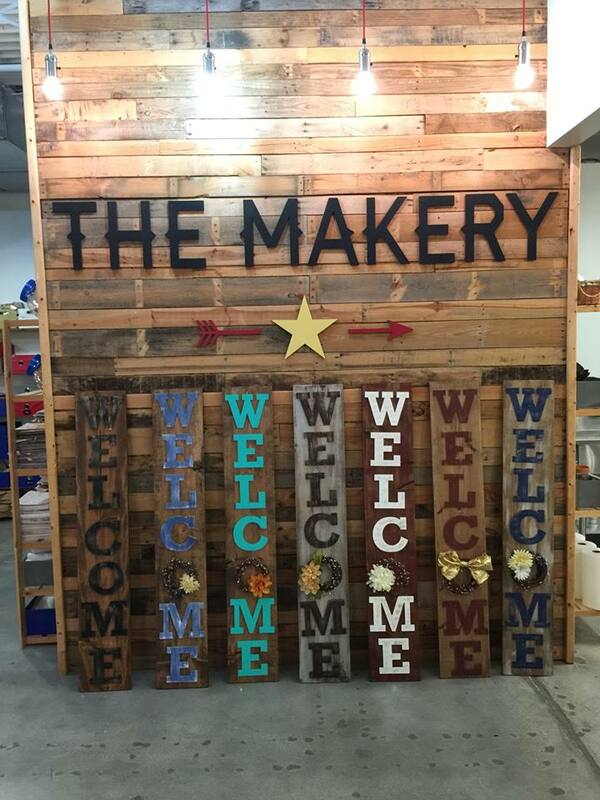 Custom lettering instead of 'Welcome' is available. Please send us an email for more information!